Greet your guests with these amazing Shadow Box Letters. 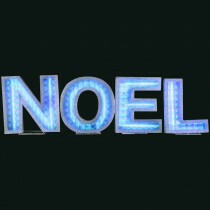 Spell "NOEL" in your yard with color changing lights. Comes with everything needed for easy outdoor setup.